Summer is coming to an end, so make the most of the days you have left! Shop local at the Rockbrook Village Organic Farmers Market occurring weekly this August. 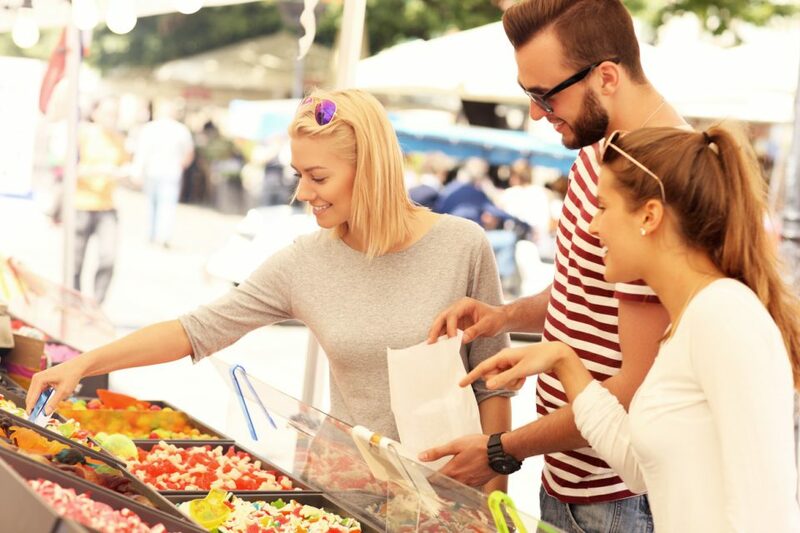 The whole family will love the different vendors and lively atmosphere. Come see and support your local farmers while you shop the freshest organic produce. Who doesn’t want the freshest produce? Support your local farmers when you shop at the intimate, Rockbrook Village’s Organic Farmers Market every Thursday from 4 PM-7PM! This artisanal market focuses on locally-grown produce, free-range eggs, grass-fed meats, cheeses, herbs, plants, homemade goods, and more. With all the diverse vendors that attend, your family will definitely have something each there for them. Admission is FREE and these markets occur every Thursday until the ends of August, so hurry and plan your next visit! The weekly market is located at Rockbrook Village Shopping Center, and it’s the perfect opportunity to shop for your weekly groceries. Casually stroll through and admire or shop confidently as you know you’re choosing from the finest, quality foods Nebraska has to offer! Click here for the vendor list for the 2017 season. With being one of the very first shopping centers in Omaha, you can say Rockbrook Village is defiantly a place you must see while in town. Unlike most popular shopping centers, Rockbrook emphasizes on locally-owned businesses as it too is managed by a local family. Most of the shops cannot be found any where else! For fifty-years, this place has been providing the people of Omaha and beyond with the most unique shops, top-rated restaurants, and friendly neighborhood services. Now you can better understand the mission and purpose of the farmers market! Click here for a full list of the merchants. Mark your calendars because once you’ve visited the farmers market, you’ll be wanting more from Rockbrook! These family-friendly, neighborhood events welcome all. Other exciting, upcoming events at the center include the Friday Night Concerts and the 46th Annual Art Fair. Plan to make it to one of these upcoming events, you won’t regret it! Rockbrook Village also loves having a relationship with their shoppers. If you’re interested in throwing an event, the shopping center is more than happy to hear your idea. These events could be merchant-related, neighborhood-related, or even community. How cool! Contact rockbrookvillage@gmail.com for more information. After you’re done doing some grocery shopping OR local shopping, head over to your local car dealership for all of your vehicle needs! O’Daniel Honda should be your next destination. Check out our impressive, extensive inventory. Our friendly staff will gladly assist you in finding the perfect vehicle TODAY!